Took V to try Theorem, Portola Coffee Lab’s more experimental offshoot. 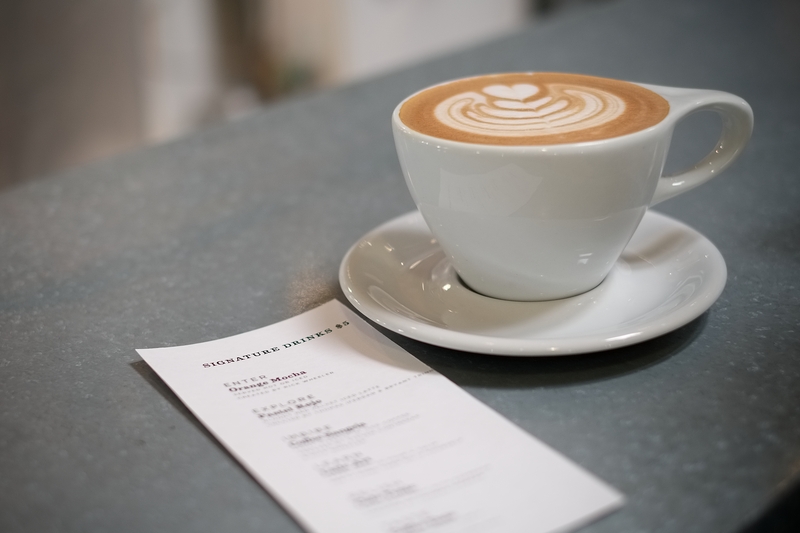 It’s an interesting place – it’s decked out exactly like a bar, and serviced by exceptional baristas that serve a rotating menu of original espresso creations. We ordered this Orange Mocha to share and it was possibly the best espresso drink I’ve ever had – amazingly smooth, not too sweet, with a perfect hint of orange. I originally had doubts about orange in a coffee drink, but the combination of orange and chocolate is pretty classic – so a mocha with orange does make sense. If you are ever in the area, get yourself to Theorem. Order anything. You won’t regret it.